Kicevo is a town in the western part of Macedonia, located in the Kicevo plain in the south-eastern slopes of Mount Bistra. Kicevo is seat of the Kicevo municipality. According to the 2002 census, Kicevo had a population of 30,138. Kicevo lies at an altitude of 620-650 meters above the sea level. The E-65 internation road is passing right though Kicevo, which is situated between Ohrid (61 km) on the south and Gostivar (46 km) on the north. Skopje is just 112 km, of which 70 km are highway. Kicevo is a important indistrial center in this part of Macedonia, due to the iron mine in Tajmiste, the coal mine and the thermo-electric power plant Oslomej. Kicevo is a mining town that started to develop very intensively after the 2nd World war. The Kicevo area is famous for their burek (Macedonian type of pie). 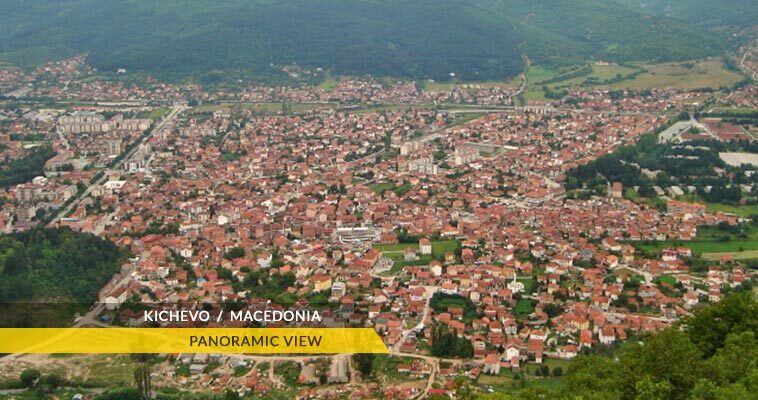 Kicevo was famous from the times of the National Liberation War and the struggle of the Macedonian people during the period of the Second World War. The Kicevo surroundings are under the influence of the warm continental and mountanous climate. The average temperature through the entire year in the urban area is 10.7 °C. The highest temperature was recorded up to 40.5 °C, while the lowest of -23 °C.